édité le 15/10/2018 - Plus de news de "Qatar Petroleum" - Voir la fiche entreprise de "Qatar Petroleum"
Qatar Petroleum announced that it will manage and operate the Idd El-Shargi North Dome (ISND) field following the expiry of the Development & Production Sharing Agreement (DPSA) with Occidental Petroleum of Qatar on October 6, 2019. Qatar Petroleum and Occidental Petroleum of Qatar signed the DPSA in 1994 for the management and operation of the Idd El-Shargi field north dome. The field was discovered in 1960 and lies 85 kilometers off the eastern coast of Doha. Mr. Al-Kaabi thanked Occidental Petroleum of Qatar and all its employees for their significant efforts and contributions in managing and operating the ISND offshore oil field during the past 24 years. 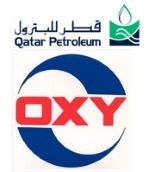 Occidental Petroleum Corporation (NYSE:OXY) is an international oil and gas exploration and production company with operations in the United States, Middle East and Latin America. Headquartered in Houston, Occidental is one of the largest U.S. oil and gas companies, based on equity market capitalization. Occidental’s midstream and marketing segment gathers, processes, transports, stores, purchases and markets hydrocarbons and other commodities. The company’s wholly owned subsidiary OxyChem manufactures and markets basic chemicals and vinyls.